The very first real-time software MP3 player was a program called WinPlay3. This program was released way back in September of 1995, back in the days of half gig hard drives. As MP3s gained popularity and began to distract computer users from glorious MIDI music, Winamp from Nullsoft was released in 1997 and by the next year, Winamp in its various iterations was downloaded over 3 million times. Several years later, the first version of iTunes was released to the public in 2001. Fast forward to today, a little over a decade later, and computer audio has become very widely accepted and many audiophiles are more likely to fire up a PC than pop open a compact disc player. 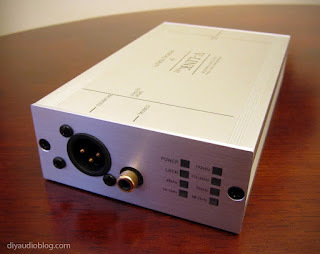 Because the CD player is going the way of the dodo (obsolescence), audiophiles choose to interface their PC with a DAC (digital audio converter) in order to extract the music in the best sounding way possible. A DAC requires a digital signal be carried from the PC to the external DAC. 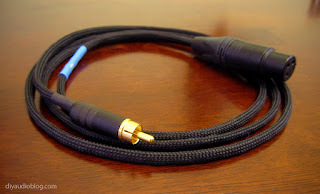 In some cases the PC has a direct output for a digital signal from the motherboard or sound card, in other cases, a user may choose to use a USB to SPDIF converter box, such as the M2tech HiFace or Musical Fidelity V-Link to name a few. Digital signals can be carried a few different ways, either optically or via a coaxial cable. 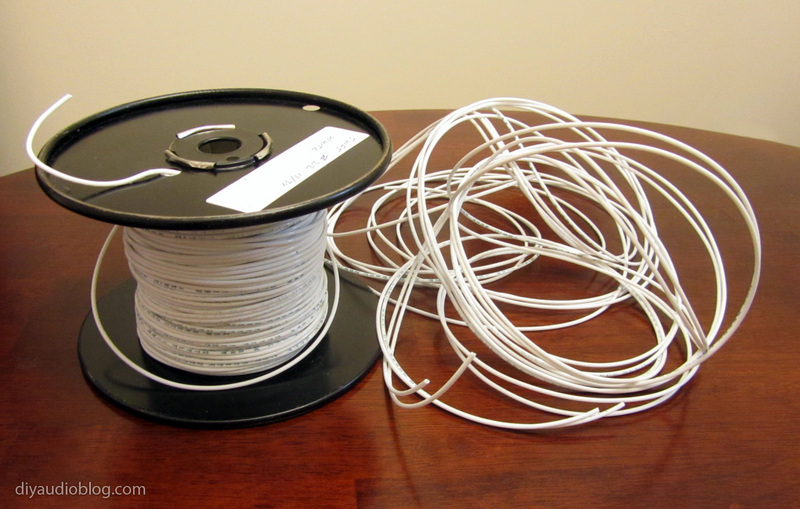 Many enthusiasts frown upon optical cables due to perceived jitter and myriad other issues, although I have found the glass ones to be acceptable in the past. Optical cables actually isolate the ground from one device to another which can be a benefit in the case of a dirty ground at the source. 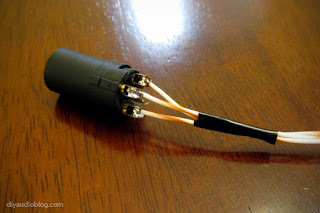 The other option, a coaxial cable with a single center conductor isolated with a dielectric and a return which is typically a copper mesh over the dielectric, can be terminated with either an RCA or BNC. In the case of the AES/EBU, there is still the copper mesh over the dielectric and there are two conductors in the center. Standard digital coaxial cables are preferred to be rated at 75 ohms, and since BNC connectors are legitimately 75 ohms, they are preferred, but in many cases BNC connectors are not offered and an RCA will suffice. 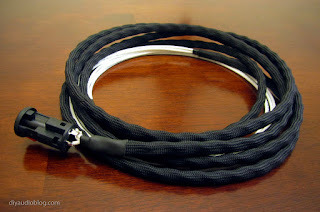 If you are lucky and your PC output and DAC both have an AES/EBU jack, then you’ll have the best possible connection between your devices. 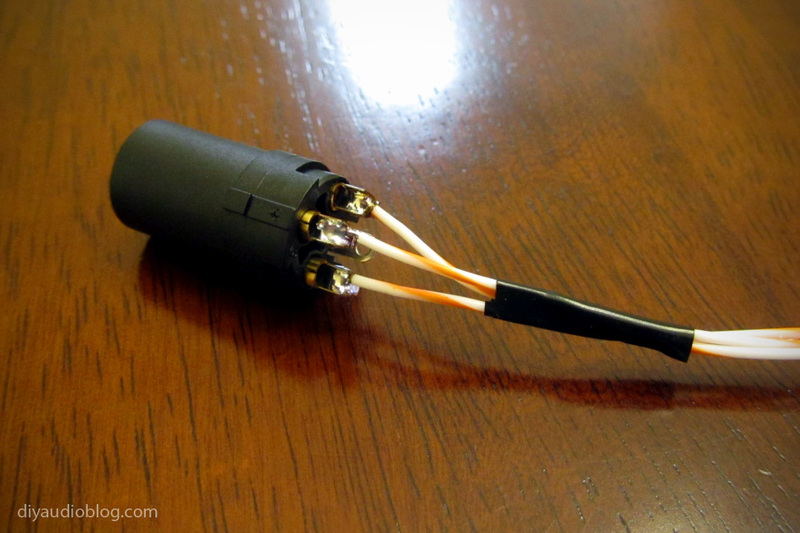 AES/EBU coax cable should be rated at 110 ohms. AES/EBU, also known as AES3, was developed by the Audio Engineering Society (AES) and the European Broadcasting Union (EBU) way before the first software MP3 player in 1985 (although revised in ’92 and ’03) and is effectively the professional version of S/PDIF. Much more additional information regarding the AES/EBU standard, including protocols, time slots and channel status bits can be found at http://en.wikiaudio.org/AES_EBU . Now that we covered what an AES/EBU is and where it came from, I’ll go ahead and assemble a nice audiophile quality one. 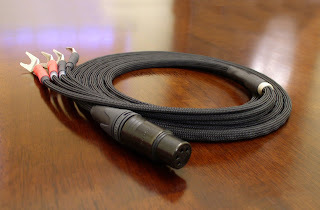 One of the fortunate things about the AES/EBU protocol is that is calls for a standard XLR connector, of which there are many audiophile versions floating around, I’m sure some of which use time-corrected flux capacitors and pixie dust gathered during ancient times. I’ll personally be using the DHLabs Silver Sonic XLRs, which is a strange name as the contacts are gold-plated pure OFC copper (no brass! 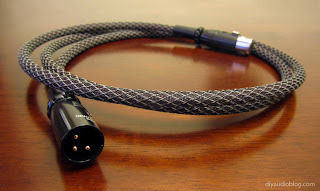 ), but they’re great connectors for the dollar, and the DHLabs Silver Sonic D-110 110ohm coax cable, which has silver plated copper conductors within a PTFE dielectric, spacers for constant impedance and a 100% coverage shield. First on the agenda is covering the wire with some nice sleeving. I selected the Techflex brand Carbon Reflex sleeving, which is a polyethylene terepthalate material braided with 3M Ultra reflective monofilament. In simple terms, the weave reflects light and looks pretty impressive. 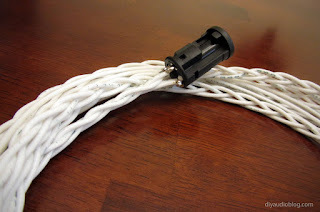 As noted in the photo below, there are two insulated wires (positive and negative) and a drain wire which connects to the shield for the ground. Also in the center is the Silver Sonic XLR female pieces. 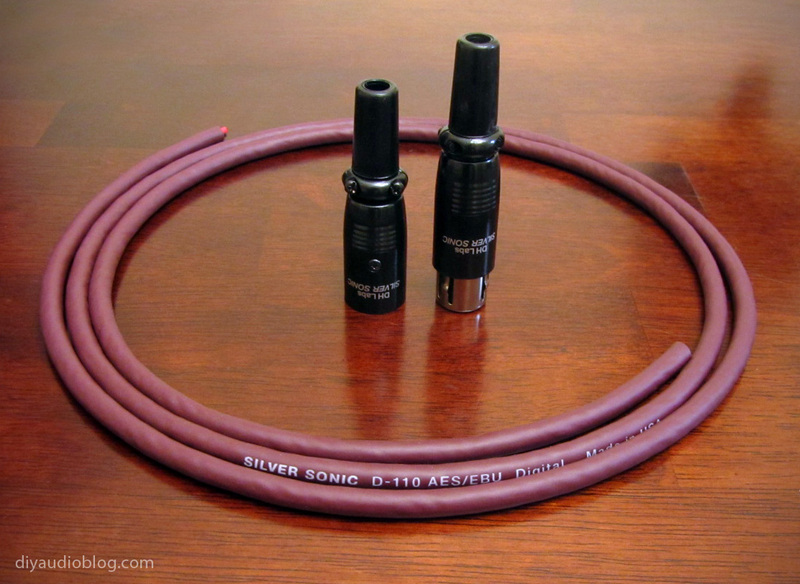 ...and here are the Silver Sonic XLR male pieces. Although not necessary, I sleeved the drain wire with Teflon like the other two conductors for uniformity. 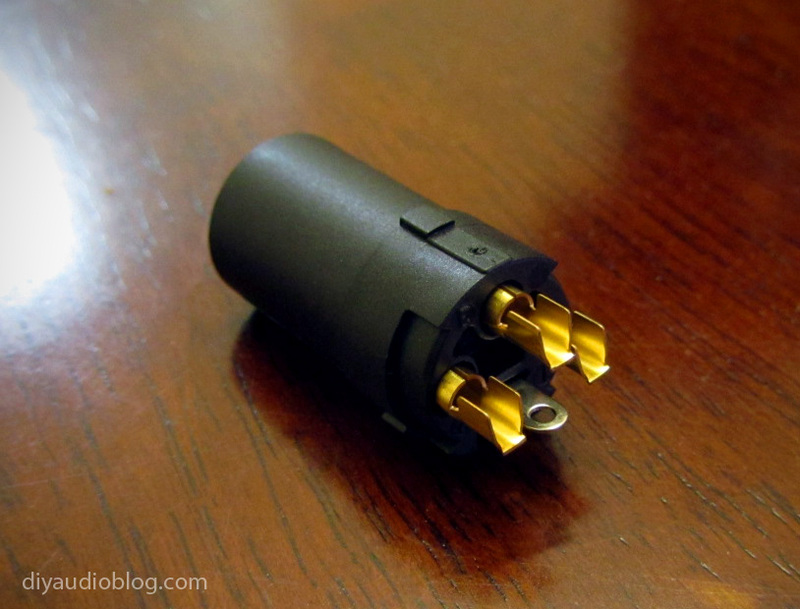 These wires are soldered in place on each of the male and female connectors. The ground wire (the drain wire in this case) is soldered to pin 1, the positive wire (red in this case) is soldered to pin 2, and the negative wire (black in this case) is soldered to pin 3. Also note that with the Silver Sonic connectors, slipping the boot over the decorative sleeving requires some patience. Once everything is soldered in place, the barrels of the DHlabs connectors are slid over the soldered connections and the three screws over each connector are replaced. The two screws over the boot in the back back a very substantial strain relief system. 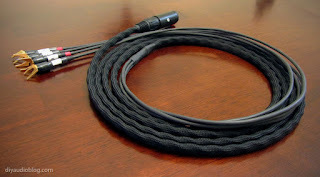 Below you will see the finished digital AES EBU cable. Hope you enjoyed reading this post. If you are interested in having your own custom digital AES EBU cable (or any other cable) made, please contact Zynsonix for a quote. 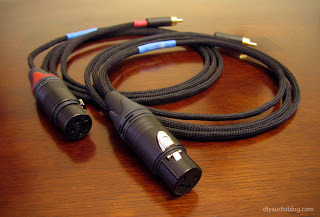 Balanced XLR interconnects are what many people consider to be a superior connection between components. 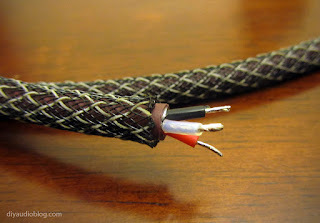 Typically found in Pro-audio equipment, they feature three wires rather than the two in an unbalanced RCA interconnect. 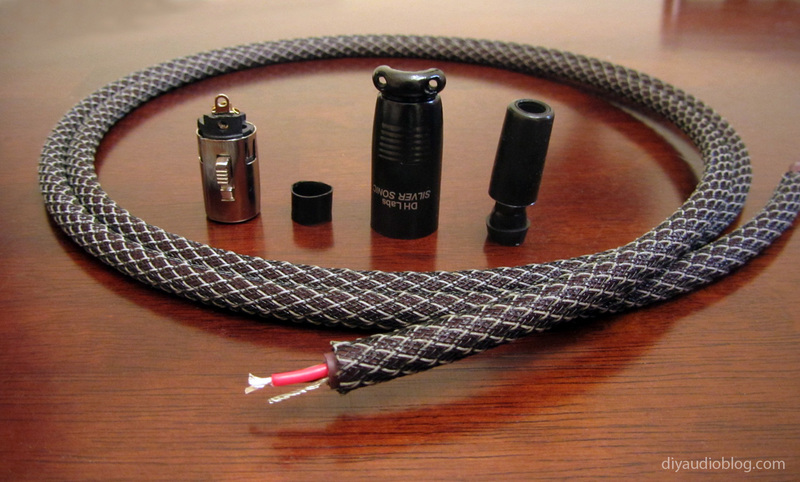 The three wire system includes hot, neutral and ground. Current flows through the hot and neutral with both an inverted and non-inverted version of the signal. The component only needs to sense the difference between the two signals which assists in rejecting common noise. Common noise includes RF and ground loops, both of which can be quite annoying. Some higher-end components have taken notice that balanced XLR interconnects can be more ideal and include them as optional inputs and/or outputs. Unfortunately there are many components that do not offer them, so you may end up with a component with XLR outputs and another with only RCA inputs. In this case, an XLR to RCA cable can be used. The parts needed are relatively self explanatory. 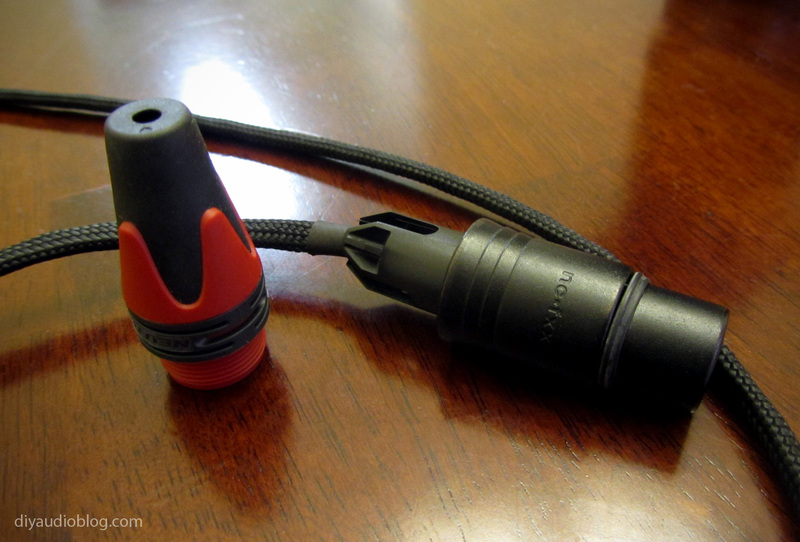 An XLR connector on one side (may be male or female depending on the component), an RCA plug on the other side, and three wires to connect them. 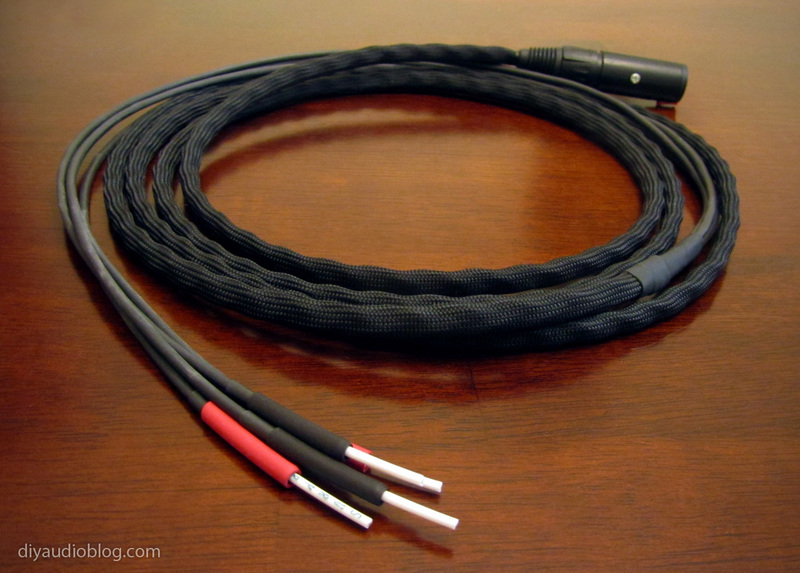 One can also use only two wires and short the XLR internally between pins one and three. 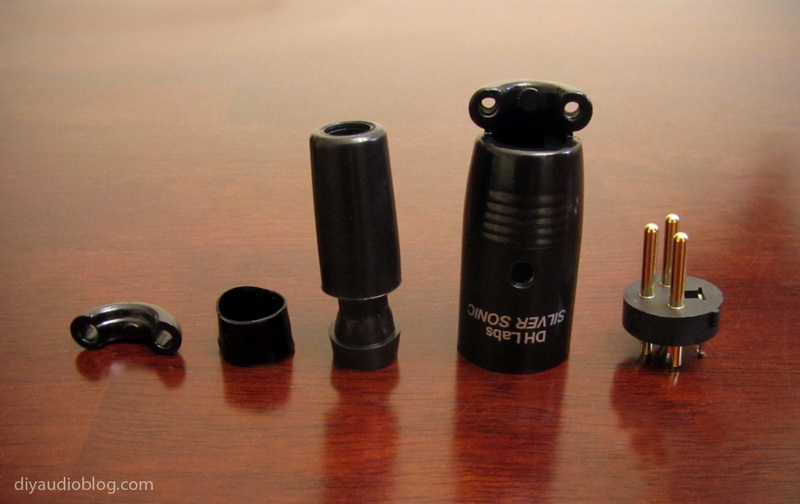 Note the diagram below that pins one and three are connected to the sleeve of the RCA and pin two is attached to the tip. Starting with a Neutrik NC3-FXXB (3 pin female XLR connector), each of the pins are identified by the small number that's actually printed on the front of the plug. If you follow this blog, you've already seen countless litz braids of silver plated copper in PTFE, so we will skip that and move on to the soldering of the individual wires to the solder tabs on the Neutrik XLR connector. Each joint should be heated quickly but adequately (not too long which could melt the plastic casing) which will result in nice shiny joints. Next comes the sleeving. In this particular case, the braided wire is covered with soft black nylon multifilament. The black nylon multifilament is made by the company TechFlex and has a nice vintage look. It can be purchased from online retailers like Cable Organizer and WireCare. In order to sleeve the wire, a hot knife is used to cut the sleeve to prevent fraying, it is then slowly slipped over the braided wire and once completely covered, the other end is cut with the hot knife. 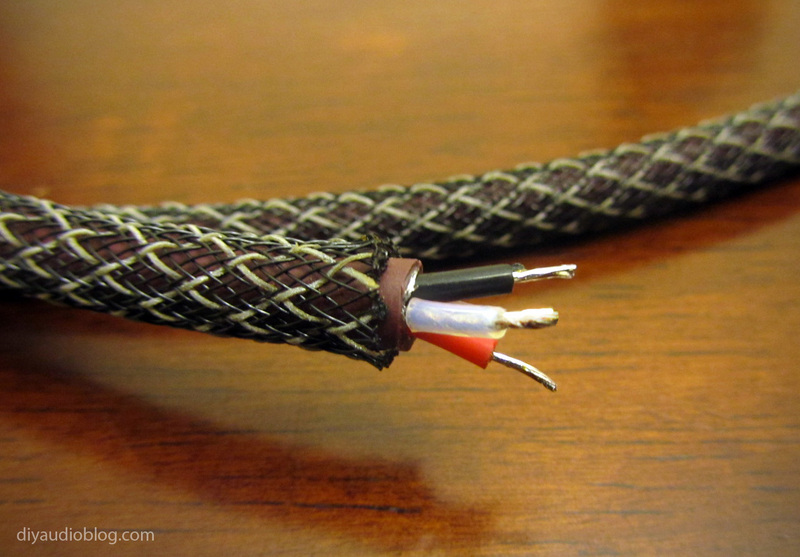 To hold the sleeving in place, adhesive heatshrink is used on the ends where the strain relief from the plug will eventually cover the cable. As you will note below, the strain relief system is placed over the heatshrink to give it something to "grip" to. The metal barrel is then slipped over the front of the XLR plug. The boot can now be slipped over the other end of the cable and screwed in place to secure the barrel and strain relief system. Neutrik does offer the FXX line with a number of different colors. I'm using red here to denote the right channel. 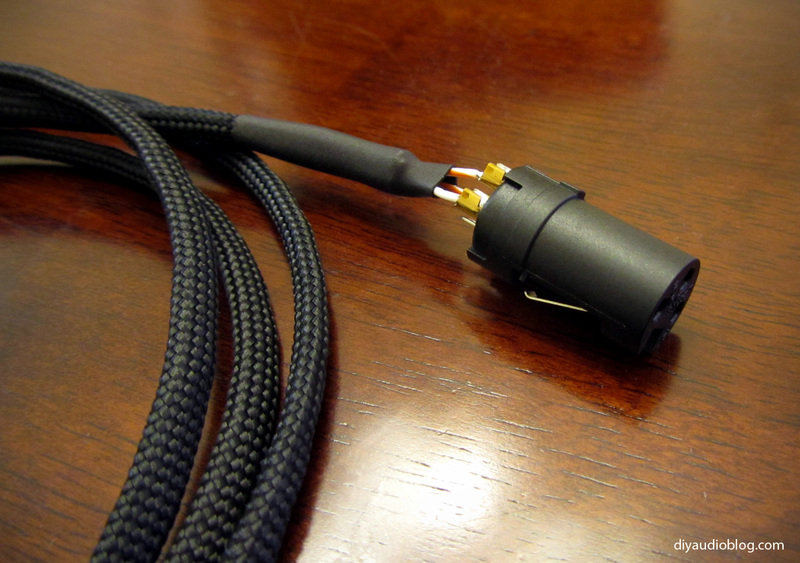 Moving on to the other side of the cable, the RCA connector will be attached to the cable. 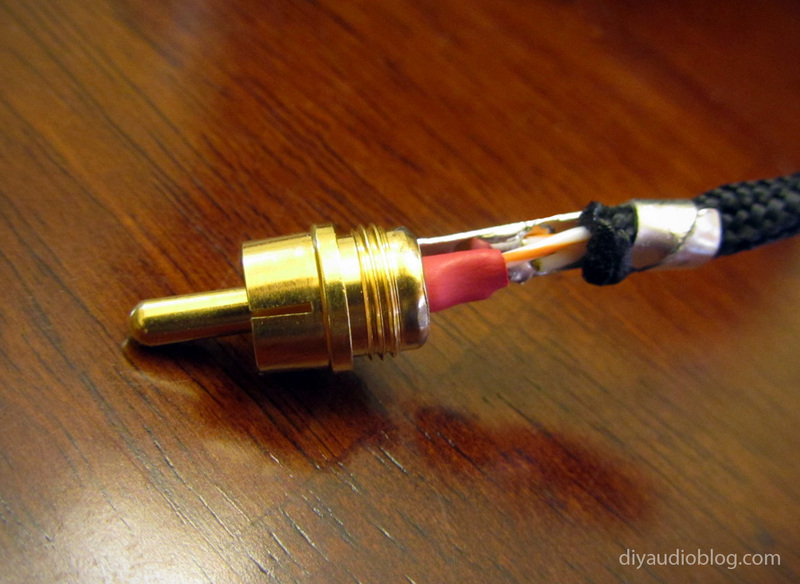 First, the metal barrel for the RCA is slipped onto the cable, then the RCA connector soldered in place. Both the number 1 connection and number 3 connection from the XLR side are soldered to the ground or "sleeve" in this particular configuration. The number 2 connection is soldered to the signal or "tip". 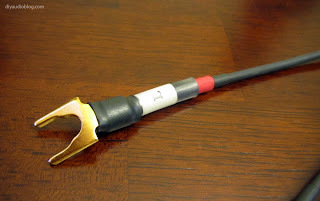 Once soldered in place, a small piece of heatshrink (in this case red) is used to prevent shorting between the ground and signal. The nylon sleeving is then slipped as far forward as it can go and the strain relief on the sleeve is crimped around it. 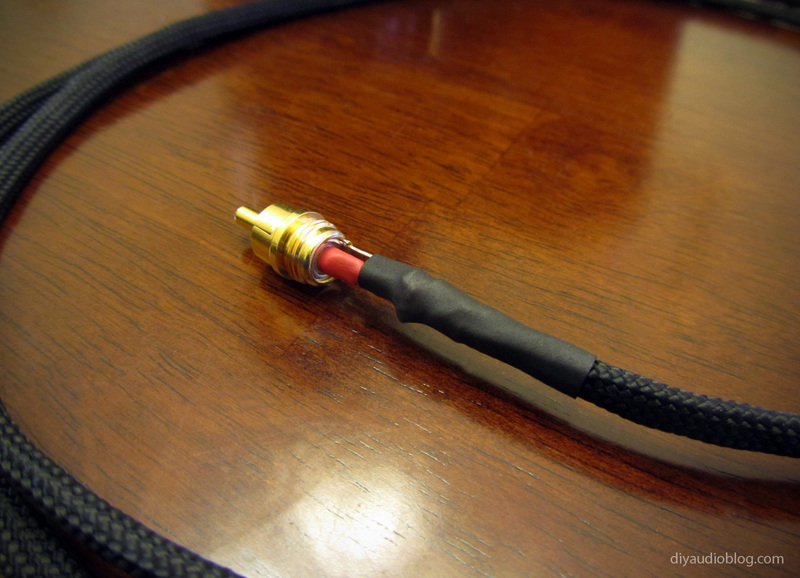 Now another piece of adhesive heatshrink is placed over the bottom of the RCA connector to act as additional strain relief and further secure the sleeving. Now the metal barrel of the RCA can be screwed on. 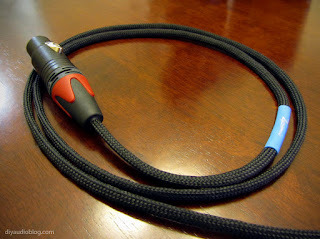 The cable is now complete and can be tested. I hope you enjoyed this post. 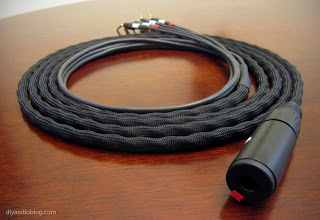 If you are interested in purchasing a completed XLR to RCA cable, please contact Zynsonix.com.